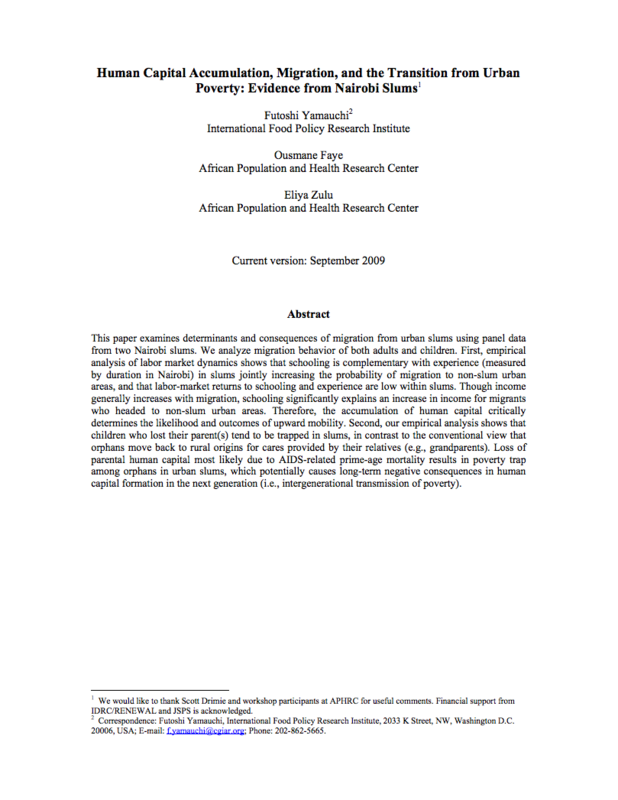 This paper examines determinants and consequences of migration from urban slums using panel data from two Nairobi slums. We analyze migration behavior of both adults and children. First, empirical analysis of labor market dynamics shows that schooling is complementary with experience (measured by duration in Nairobi) in slums jointly increasing the probability of migration to non-slum urban areas, and that labor-market returns to schooling and experience are low within slums. A recent story from NPR described how slum mapping can be a powerful negotiating tool when used as a public record of problems such as dark street corners, limited toilets, or illegal dumping. 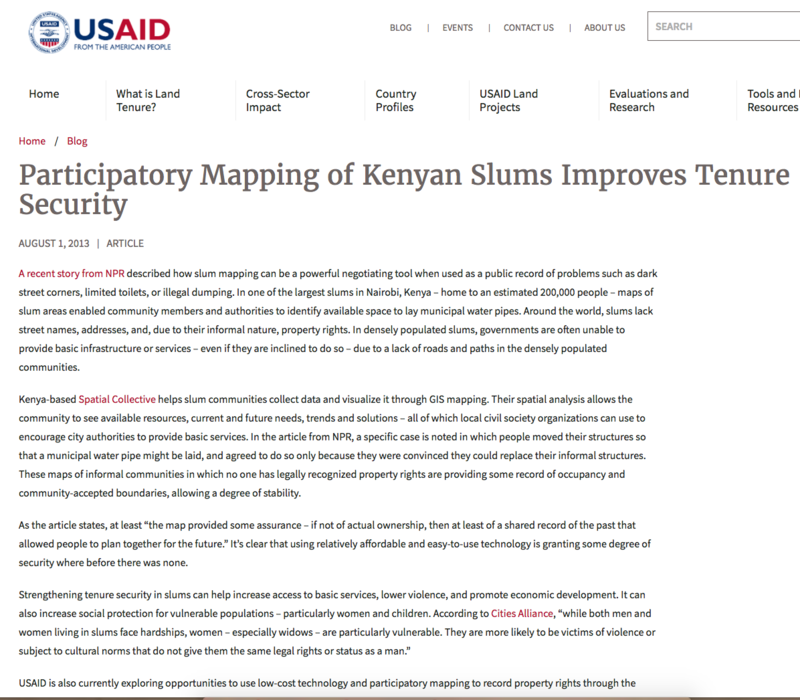 In one of the largest slums in Nairobi, Kenya – home to an estimated 200,000 people – maps of slum areas enabled community members and authorities to identify available space to lay municipal water pipes. Around the world, slums lack street names, addresses, and, due to their informal nature, property rights.